Beloved Japanese Author Answers Questions At 'Mr. Murakami's Place' Haruki Murakami is a best-selling author and perennial Nobel Prize contender, but rarely gives interviews. For a limited time, a website is giving fans a chance to engage with the reclusive writer. The best-selling author of works such as The Wind-Up Bird Chronicle, Norwegian Wood and 1Q84 rarely gives interviews, which is why his fans were so excited about Mr. Murakami's Place. Topics range from the serious to the absurd. Some asked about Murakami's books, others sought relationship advice. One wanted to know where to find the best cup of coffee. 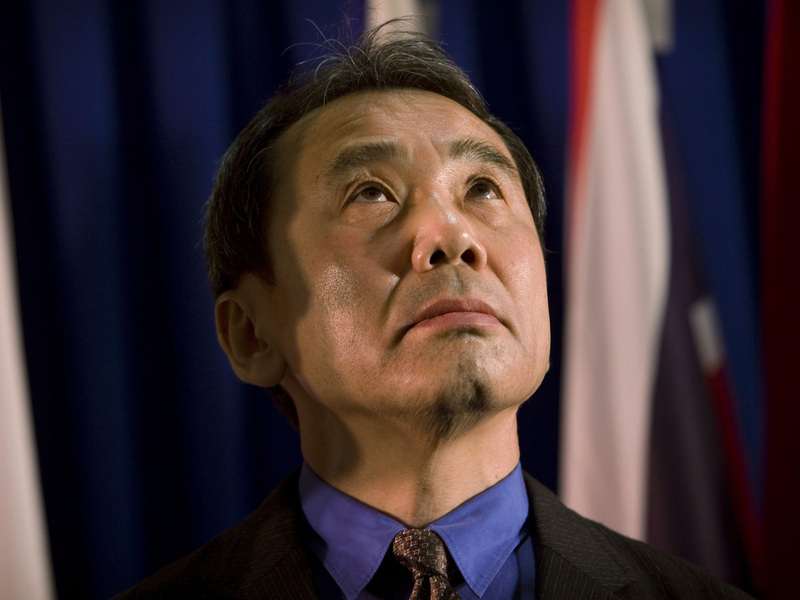 The site is mostly in Japanese, though Murakami has been accepting — and answering — questions in other languages. He isn't taking any more questions, but will continue to post new entries for several more weeks. Patrick Caddeau, an expert on Japanese literature at Princeton University, says he wasn't surprised to see the author interacting with fans this way. "His writing style is very much about asking questions and engaging with the world," Caddeau says. This isn't uncharted territory for Murakami. Long before Barack Obama and Bill Gates were encouraging Reddit users to "ask them anything," the author was engaging with his readers online. Murakami is notoriously shy, and rarely makes public appearances. But, Caddeau says, "This is a format that allows him to really engage in a way that plays to his strengths." Anna Elliott, head of Boston University's Japanese language program, has translated many of Murakami's books. "He really has a lot of fans around the world," she says. "They feel a very personal connection to him, and really appreciate the opportunity to write to him directly and know that he will read it." "One of the things that we did when he was in hospice was I would feed the stray cats in the neighborhood and he could watch them from the window," Taylor says. Her father would often talk about a cat he had when he was young. On the day that her father passed away, a new cat turned up for the first time. She asked a family member to describe the cat her father had as a boy and wasn't surprised to learn that it was similar to this one. "It seemed like a kind of very Murakami-esque experience to have," she says. Murakami hasn't written back to Mary yet, but she isn't the only one to ask the author to help her make sense of magic in the world, and in his writing. In response to another fan's question, Murakmi answered: "When I'm writing those stories, I really believe in those unnatural things. It actually happens around me. But when I'm not writing stories, I am just an ordinary man with strong common sense. I come and go between those two different worlds. Busy, but fun."